Chilliwack/Abbotsford/Mission – Stats Canada has released new crime numbers and robberies along with break and enters are leading the list. Crime seems to be on the rise in Chilliwack, based on numbers released by Stats Canada this week. The numbers released reflect the year 2014, and include five years of reporting to keep the numbers in context. Of the five years reported, 2014 had the highest incidence rate, with 8,904 separate violations (excluding traffic violations). That’s equal to a 5.76 per cent increase from the previous year. The total number of people charged with criminal offenses was also at a five year high of 929, up from 854 the previous year but close to the 2011 total of 916. Of those charged, 68 were youth ages 12 to 17, slightly lower than the 74 charged in 2011. But in the face of what seems like rising crime, Stats Canada reports that Chilliwack’s violent crime per capita is slightly decreased, .29% from 2013 to 2014. There were 1,082 actual violent crime incidents, 320 adults charged with violent crime, and 33 youth. The list, available on the Government of Canada website, breaks down rates for each violation of the Criminal Code. In 2008, they began adding sexual violations against children, making it one of the newest available statistics. There were 16 incidents of sexual violations against children in Chilliwack in 2014, up from 10 the previous, but slightly down from 19 and 20 in the prior three years. Seven people were charged in those incidents, all adults. Break and entering charges remained fairly steady compared to previous years, with 724 actual reported incidents. A five year low of 37 adults were charged (same as 2011), but the number of youth charged for break and entering jumped from a scant few every year, to seven in 2014. For the first time in five years, Abbotsford and Mission are seeing a hike in annual crime figures released by Statistics Canada. But police spokesmen in both communities point out that the numbers are still down from where they were in 2010. The stats, released Wednesday, report the crime severity index and the crime rate for 33 census metropolitan areas (CMAs) across Canada for 2014. The Abbotsford-Mission CMA recorded the sixth-highest crime rate in the nation and the seventh-highest figure on the crime severity index – although both figures were below the provincial average. The area recorded 6,496 Criminal Code offences per 100,000 population, compared to the national average of 5,046 and the provincial average of 7,599. The rate rose seven per cent increase over 2013. The area’s crime severity index (CSI), which is based on the number of crimes reported and the severity of each offence, was up six per cent from 2013. The figure, 84.4, is higher than the national average of 66.7, but less and the provincial average of 91.6. The numbers, broken down further, separate the two communities from one another. 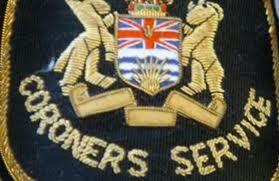 Abbotsford’s CSI for 2014 is 74.6, compared to 94 in 2010, and Mission’s is 120 compared to 125.5 in 2010. Both communities recorded increases in their CSI (a 3.5 per cent hike in Abbotsford, 10.5 per cent in Mission), violent CSI (9.4 per cent and 38.3 respectively) and non-violent CSI (1.6 and 3.5). Const. Ian MacDonald said the Abbotsford Police Department (APD) is not pleased with the numbers. “We’re concerned about it because we are a jurisdiction that for four years straight was moving the numbers the other way,” he said. MacDonald attributed the 2014 increases to two main issues that are causing challenges for police: the ongoing Townline Hill conflict and street and small-business robberies. Police first reported a year ago that a conflict between two groups of young men in the Townline and Blueridge areas was resulting in incidents that ranged from vandalism and mischief – such as keying cars and smashing windows – to arson. Those incidents have since progressed to include several shootings and assaults. The problems have continued into 2015, and on Sunday a house was hit by gunfire, although no injuries were reported. MacDonald said robberies are another ongoing challenge for police. Incidents at banks have gone down, but there are more robberies at small businesses and on the streets, he said. MacDonald said the APD will continue to look at innovative solutions to tackle these problems and drop the crime stats again. Sgt. Shaun Wright of the Mission RCMP said that agency will also continue to analyze crime trends and implement crime-reduction strategies in hopes of dropping the numbers. He said Mission council recently approved funding for three additional officers this year who will be part of a newly formed prolific offender suppression team that will conduct targeted enforcement on prolific offenders. “Experience has shown that a few people in the community are responsible for the majority of criminal offences,” Wright said. He said a “significant number” of crimes are related to mental-health issues, and the Mission RCMP has an officer who works full-time in partnership with Fraser Health and the APD as part of a newly formed “assertive community treatment” team. MacDonald and Wright both noted that although the crime stats have gone up, they are still down from a few years ago. 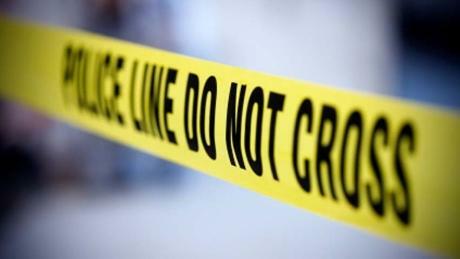 The highest crime rate in the country for 2014 was Saskatoon (8,.229), followed by Regina (7,858) and Vancouver (7,425). The lowest was Toronto (2,844). The three CMAs recording the highest CSIs were Saskatoon (109.7), Regina (102.8) and Vancouver (96.7). The lowest was Quebec (45.2). 2 Comments on "Crime Stats Rise In Chilliwack, Abbotsford, Mission"
4 year old stats are worthless, in my opinion. FYI this story was published in 2015.